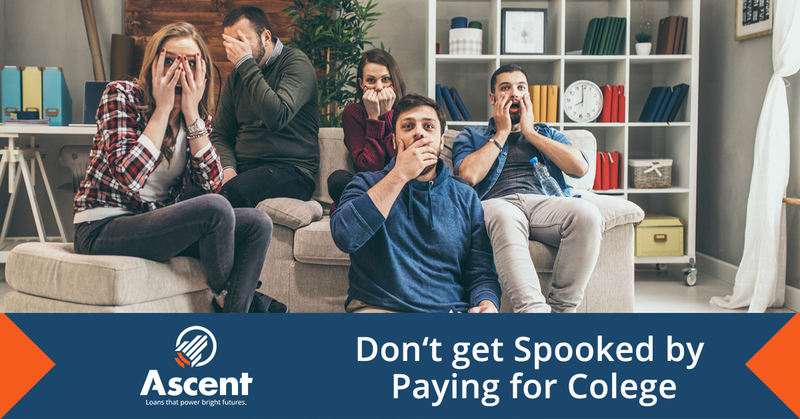 The news cycle on student loans is usually painted as a horror story, but with flexible repayment options they aren’t as scary as people make them seem. Federal student loans have fixed, graduated, and income-driven repayment options. Standard 10-year Repayment (fixed): This is the plan everyone is first placed into. This plan is designed to repay your loans in 120 equal payments in 10 years. Usually the most expensive monthly payment, but you pay the least in interest over the life of the loan. Graduated 10-year Repayment (graduated): Also completed in 10 years, this plan starts out low and increases ever couple of years. It’s good for anyone who can’t swing the standard 10-year plan but knows their income will continue to increase in the future. Extended Repayment (fixed): This plan is for those who can’t afford the shorter loan period repayment plans. You’ll make 300 payments over 25 years. These payments are much lower than the standard 10-year or graduated plans, but you pay a lot more interest over the life of the loan. Extended Graduated Repayment (graduated): Much like the fixed extended plan, this plan is also 300 payments over 25 years, but the payments increase every few years making the early years very inexpensive. You’ll end up paying a lot more in interest making this a very expensive plan in the long run. Income-Driven Repayment (income-driven): Depending on if you’ll be borrowing the loans or your student will be borrowing, there are different forms of income-driven repayment. All of them base monthly payments on the borrower’s income and family size making this a very flexible plan for those struggling with their loans. Payments can even be as low as zero dollars per month. After 20 or 25 years (depending on the plan), the balance may be forgiven but would be taxable. Private student loans typically have multiple options depending on your lender. Before borrowing, talk to the lender to find out all of your options to ensure that you can fit the loan payments into your budget. Flexible repayment only works if you can make any payments at all. If you’ve hit a financial bump in the road such as a loss of a job, medical issues, or general financial hardship, student loans may be the most versatile form of debt in your portfolio. Whether you have federal or private loans, there’s almost always a postponement option that you can take advantage of to get you through. For federal loans, there are deferments which allow you to postpone payments for up to 12 months at a time where interest doesn’t accrue on subsidized loans. Your federal unsubsidized loans will accrue interest. Federal forbearance periods are like federal deferments in that they allow you to temporarily stop making payments or for a period of time, or reduce your monthly payment; however, with federal forbearance, interest accrues on your loans during the postponement time. The time limits for these postponements vary, but you can learn more here. Private loans almost always have a forbearance or deferment option as well. Visit our FAQ to learn more about Ascent Student Loan options. There are a multitude of student loan forgiveness programs out there. Loan discharge is typically for circumstances such as death or disability, but there are numerous forgiveness programs designed around the type of work that you do. A well-known forgiveness program is the federal Public Service Loan Forgiveness (PSLF) program. This program forgives your remaining balance after making 120 eligible payments on a federal Direct loan, but you have to be employed by an eligible government, public service or not-for-profit organization, and be working full-time. This can be a godsend for those who are teachers, public defenders, social workers, and rural health care workers for example. The opportunities don’t end there though! There are many other federal, state, and private loan forgiveness options out there. Depending on your profession and where you live, these programs can alleviate much of what is so “scary” about student loans for you. Ascent strives to provide you with the information you need to make the best financial choices possible, as well as giving you student loan support when you need it. Check out our blog to stay current on the latest in college finance tips and tricks. 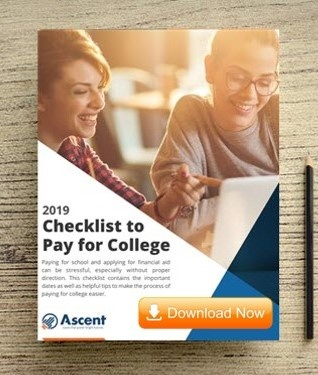 Ascent Student Loans sponsors these blog posts, and writes, as well as works with partners, to create informational content that is of interest to prospective borrowers and our applicants. Next Financial planning starting to freak you out? Here’s what you really need to know about sending your kid to college.